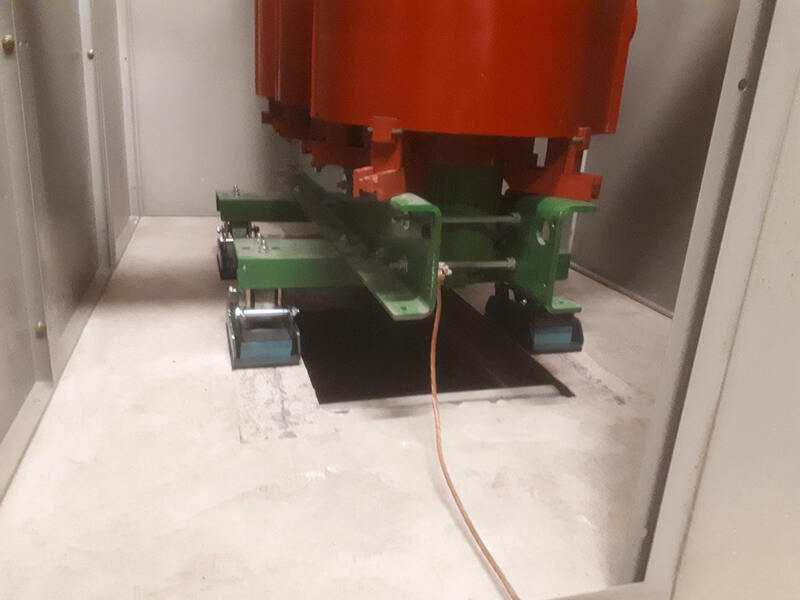 Vibro-TRS.F is a special engineered and designed anti-vibration mount for electrical transformers with transportation rolls. 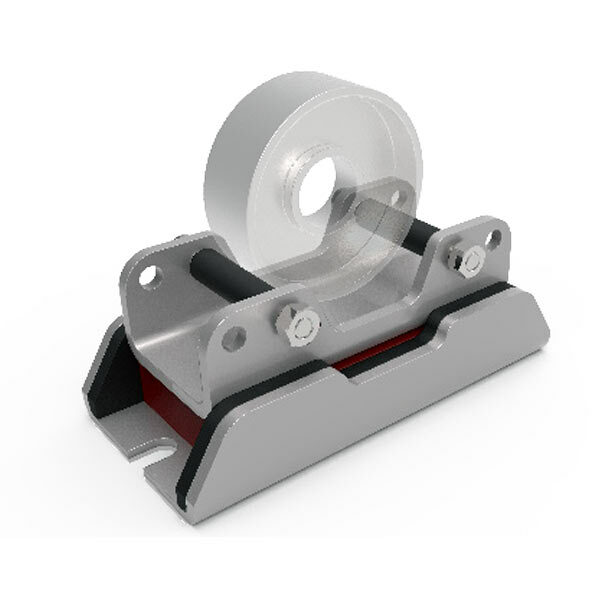 Vibro-TRS.F is a specially engineered and designed anti-vibration mount for electrical transformers with transportation rolls. 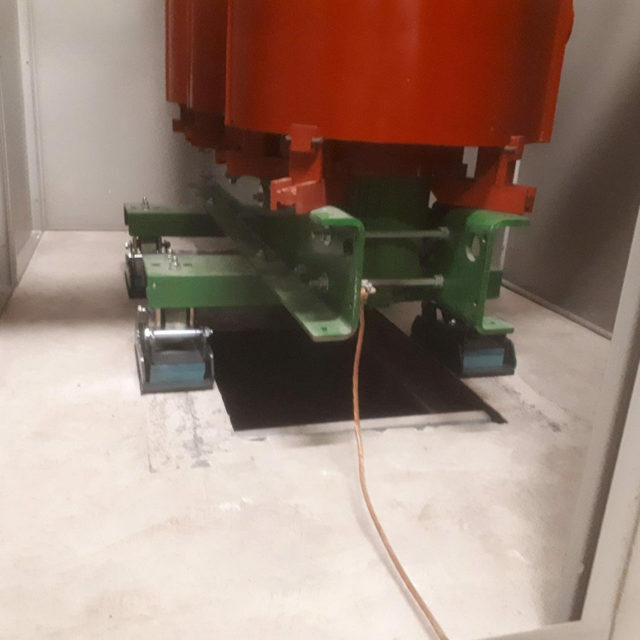 The elastomeric element between the two metal profiles is a high-quality polyurethane vibration isolation foam, manufactured by the German company BSW under the trademark “Regufoam®”, available in different hardness. 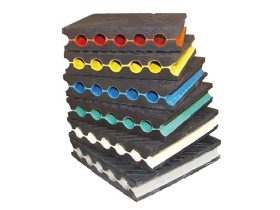 There are two different thicknesses (25 and 37mm) of the elastomeric foam in order to achieve better vibration isolation. The metal plate is protected from oxidation with polyester powder paint or can be hot dip galvanized (upon request). There are rubber pads both in two sides between the metal profiles, in order to avoid any sound bridge. On the upper metal profile, there are two cylindrical axes in order to be avoided the rolling of the wheel. 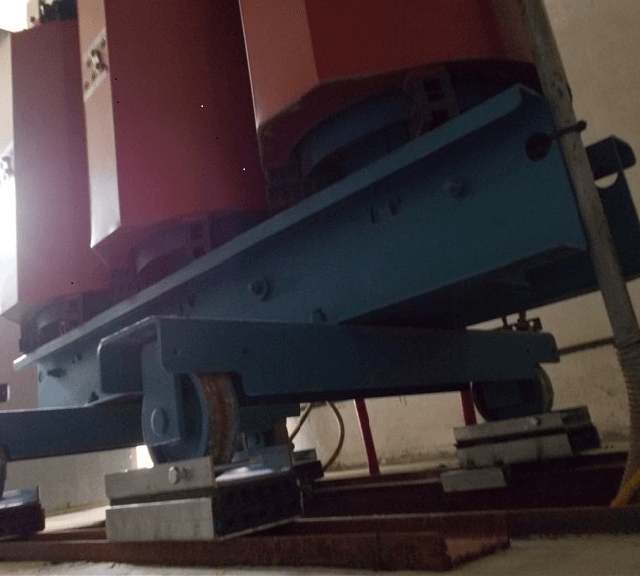 The position of these cylindrical axes can be adjusted according to the wheel’s diameter. There are also lateral restraints due to the metal wings. 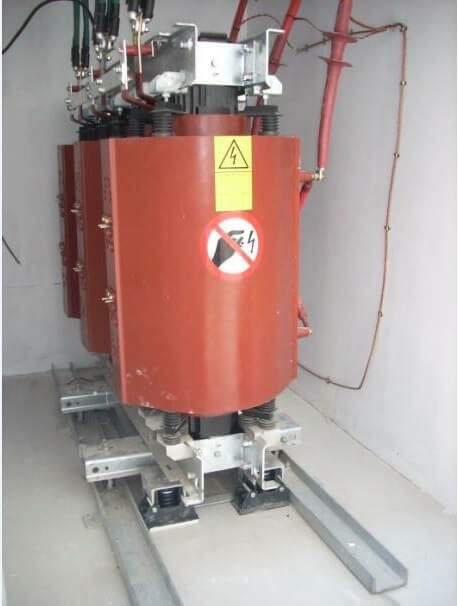 TRS.F mount is recommended to be used for Vibration isolation for a wide range of transformers. 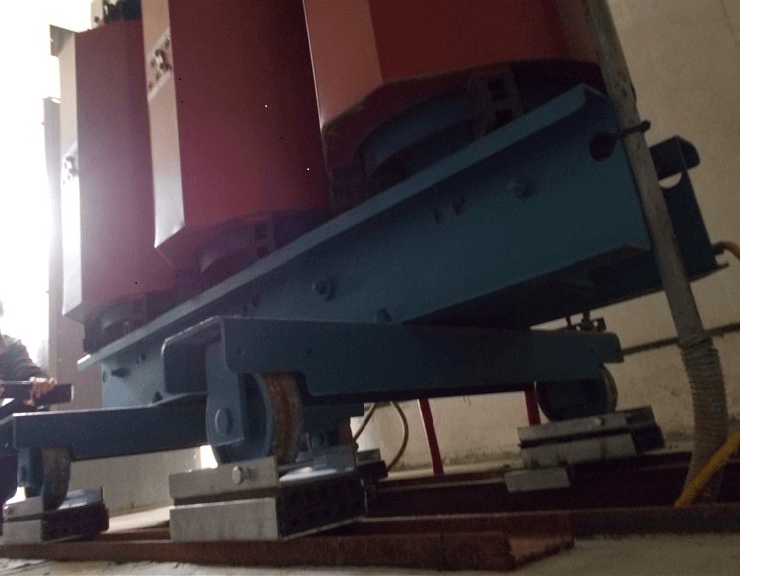 It can be applied as a vibration damping under the transportation rolls in order to protect the relative building from the structural born noise transmission. 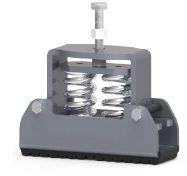 Antivibration spring mounts Vibro-SMR are a multi directional antivibration restraint with adjustable height. 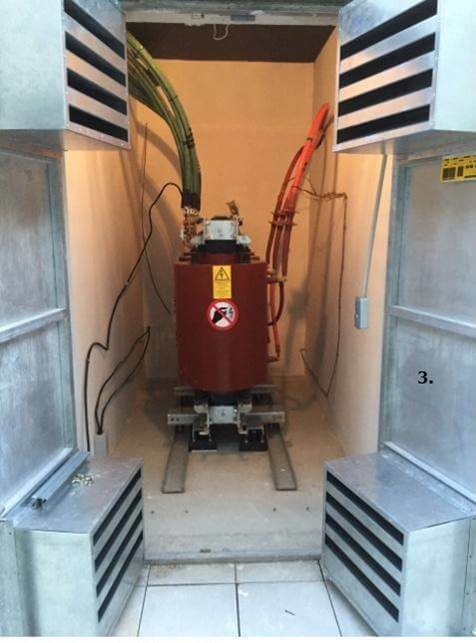 Vibro-SMR can be used for low frequency vibration controls (low speed rotation 400 rpm upwards) that also require lateral and vertical restrain and protection from earthquakes and excess wind pressure.